Are you older and recently laid off? Decided it was time for a change when you reached mid-life? Hoping to finally find a job that lets you fulfill your passions? 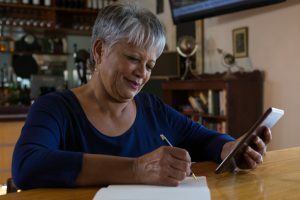 If your answers to any of these questions were yes, you’ve probably already realized how difficult it can be to job search after 60. The hardest part is how different everything is. You haven’t had to interview or update a resume in years. And the internet is full of job search websites that all seem the same. Fortunately, there are several websites available that cater directly to your needs. These sites provide a wealth of resources to put you in the driver’s seat. WhatsNext.com is a perfect first stop on your mid-life career journey. The site covers six main categories, each with its own blog, as well as sections for guides, courses, tests, tools, and connections (where experts in the community can get in touch with the website). These sections include: career change, purposeful living (where you can figure out what you want to do in life), self-assessment (to find your strengths and useful skills), retirement, entrepreneurship, and connection (a social section that teaches you how to maintain relationships in a busy life). The site is built around a single mantra: “We are the future of mid-life transformation.” The founders recognize that changing your whole life, although hard at any age, is especially difficult after age 60. While WhatsNext.com focuses on changing your career path after retirement age, RetiredBrains.com emphasizes working after retirement. Finding the perfect work situation that allows you to supplement your retirement savings without working a typical eight-to-five job. Resources include information about jobs that allow you to work from home (selling online, freelancing, and telemarketing, among many others), part-time jobs to supplement retirement savings (this includes traditional part-time jobs as well as seasonal and temporary jobs), and entrepreneurship ideas (the site includes a directory of low-cost franchise opportunities). This is all in addition to retirement planning resources (from job search to continued education, volunteering, resume help, and more). Other sections of the website focus on the trials that come with retirement age, from grief support to travel, money, and health. RetirementJobs.com is a great place to use all the information you learned at the two websites we’ve already reviewed. It’s a job board—a place to upload your resume and find the perfect job. RetirementJobs.com is special in that the website’s stated goal is “to identify companies most-suited to older workers and match them with active, productive, conscientious, mature adults seeking a job or project that matches their lifestyle.” The site even has a reviewed list of “Certified Age Friendly Employers.” This eliminates any chance of encountering age discrimination. The site is also totally free for jobseekers, and you can narrow your search down to part-time or full-time jobs. Have any experience with other job search websites for those of a certain age? Let us know in the comments below! Next Post Poll Question: What Benefits—Not Including Health—Do You Value Most From Employers?